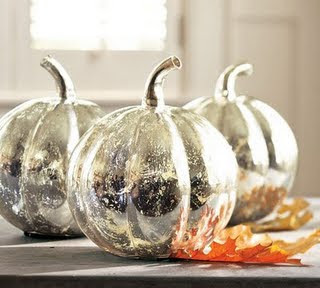 The fall makes me want to break out the mercury glass. It helps spaces feel warmer in the cooler months. 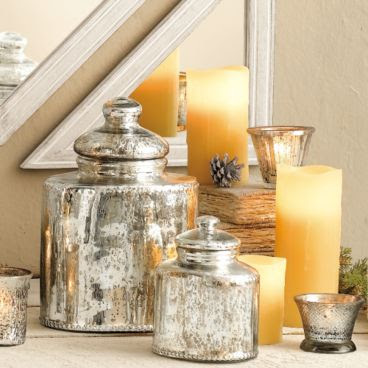 From lamps to votives it can really bring comfort and glamour to a home. 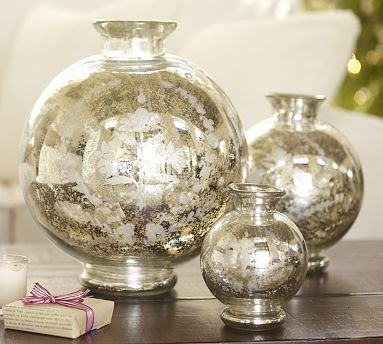 I never thought I would be so in love with this mercury glass votive! 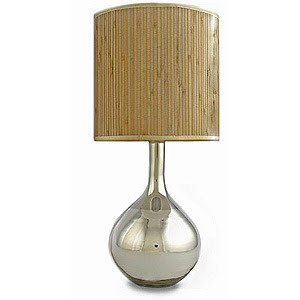 I searched the Internet and have yet to find one that resembles the one that I had originally purchased at Anthro. Of course it's discontinued. Go figure! I've placed a scented tealight in it from here. 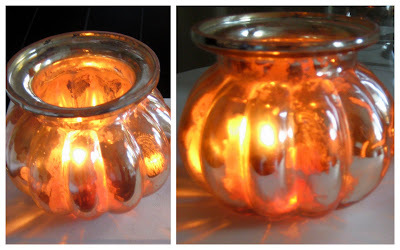 The orange reflects against the glass and gives it a pumpkin look. The tealight candles came in a package of 12: they are orange, cream, brown and cranberry and smell insanely good...I have also yet to find these online. 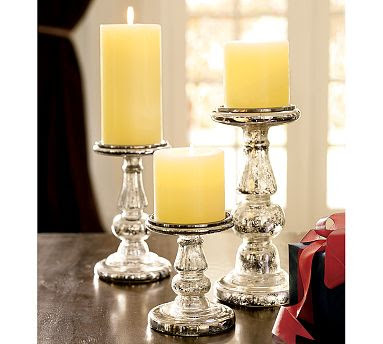 Readers, if you come across this mercury glass votive I would love to know where you found it! p.s. Thank you for all your sweet comments regarding my injury. You are all so kind. I love your votive! It is so unique. Love the mercury glass. So festive, to me. I have that last votive and love it. It sits on top of some books on my coffee table... I beleive mine is from Anthro. There is a store here called At Home that might have one that's similar... I'll check. I never thought I'd be so in love either! Love all of these. LOVE mercury glass! My mother and I have been searching for the perfect lamp so if I come across some votives, i'll let you know. Damn you anthro, why do you always do that?? 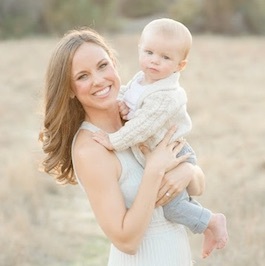 I'd say its about time for Baby Story on TLC- whats going on with that?? #2 I love that top lamp. I want to see it lit. I am weird about what color a shade makes the light. #3 I'm pumped about that Anthro party!